STUNNING NEAR NEW 520D BLACK M SPORT WITH INNOVATIONS PACKAGE, COMFORT PACKAGE, GLASS ROOF AND MORE! ENQUIRE NOW. 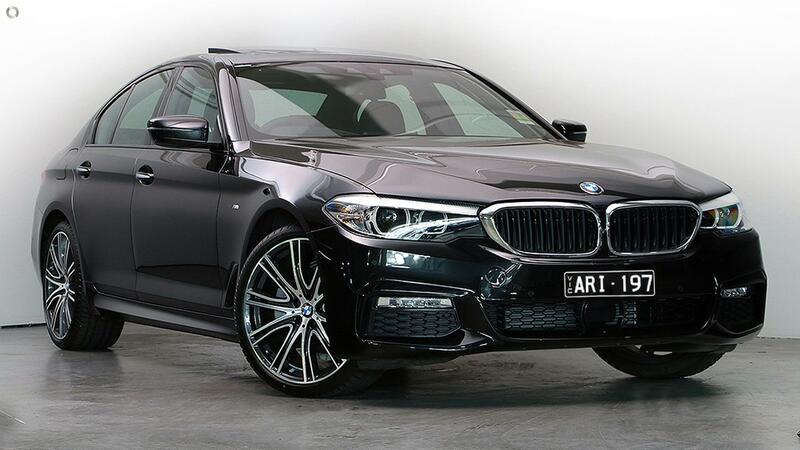 Enquire now, to secure your test drive today at one of Australia's most awarded BMW Dealerships. Don't have time to come in for test drive' Give us a call and we'll come to you! Finance is available on this vehicle through BMW Financial Services; enquire now for a no obligation pre-approval. BMW Financial services also offers Extended Warranties, Tyre & Rim Insurance, competitive Comprehensive Insurance as well as amazing Full Circle offers allowing for repairs at any Authorized BMW Bodyshop. We more than welcome interstate customers and we can arrange the trade-in of your existing vehicle. Please note the stamp duty amount payable will vary depending on the state.